Water heaters can last a good long time, if you take proper care of them. They can’t last forever, though. Sooner or later, you’re going to need to replace it with a new one. It’s best if you identify as early as possible when your water heater is getting close to the end of its life. The earlier you can tell if your water heater is in need of replacement, the earlier you can have it replaced. The best way to tell whether or not your water heater is in need of replacement is to have a technician check out the system for you. If you’re not sure whether to call your technician yet or not, though, check out the following signs. There are a lot of ways that your water heater can end up providing lower heat levels without needing replacement. Plenty of problems can negatively impact its heating ability, and resolving them can restore it. However, if your water heater is consistently providing low heat, it might be because the system is losing efficiency to wear and tear. Years of use will wear down the system over time until it just can’t keep up with demand anymore. At that point, you’re probably going to need to replace it instead of trying to restore the system through repairs. If you need to repair your water heater more than once every few years, you probably need to replace it entirely. A system that breaks down that often is likely so worn out that the parts inside the system are breaking down in groups. This will only get worse the longer the system is in use. You can keep replacing the system one part at a time if you want, but you will waste more money in the long run by doing so. It is far better to just install a new system, as it will save you more money in the long run. The average water heater lasts around 10-15 years before it gets past the point of usefulness. 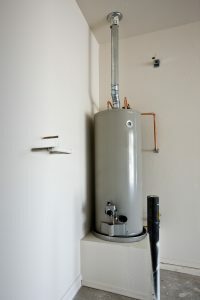 You can keep a water heater running past that point, of course, but a system that old will likely have quite a few chronic issues that will make it more costly to operate. The older your water heater gets, the more prone it is going to be to developing issues like the ones we have already discussed above. If your water heater is older than 15, we highly recommend that you talk to a professional as soon as possible about installing a new system in your home. Better to eat the higher installation cost now, than to continue paying for more and more repairs until the system finally breaks down anyway. Performance Plumbing offers a full range of plumbing services in Chesterfield, MO. If you need a new water heater installed in your home, contact us today to schedule an appointment. We’ll make sure that you find the best water heater solution to meet your home’s needs.